I just wanted to drop a line to say what a wonderful trip we are having. I have been able to walk all over London and Paris without pain. We stood for two hours to see the finish of the London stage of the Tour de France. I climbed the steps to the top of the Arc de Triomphe. And we sat on the ground for an hour waiting for the fireworks at the Eiffel Tower on Bastille Day. I certainly would not have been able to do all of this without your help. My name is Donna and I am a young 71. I have gone to Dr. Tarek for three years after moving to Richmond. Like many, I have had chronic low back problems for years. I go to Dr. Tarek for monthly visits that I call my “Energy Boost”. My back no longer aches and combined with exercise I am able to be far more physical than I ever thought. It is never to late to start. My workout program is with Oxygen and Iron, owned by Linda Alexander. A privately owned studio with private trainers. 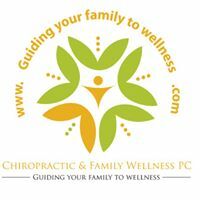 I feel very lucky to have a caring Dr and trainers that are interested in promoting good health. I would also like to mention Dr. Tarek has a very caring and helpful staff. This is to thank you for the amazing improvement you have made in relieving my spinal stenosis symptoms. When you began helping me in late 2008 , I was in a great deal of pain and had difficulty straightening my back, walking, or climbing stairs. I had received my diagnosis a few month earlier and was told that as my symptoms increased I would be facing delicate surgery, which I dreaded. Within a few weeks after you started treating me I was getting relief. Within a few month I was symptom free. During the intervening years I have experienced recurrence of symptoms on at least two occasions when I have been away on vacation. After resuming treatment with you my symptoms have promptly disappeared. Second only to these remarkable results, I have appreciated your expert knowledge, ability to explain bodily systems and processes, and the down-to-earth friendliness and compassion of you and your staff.